October is Breast Cancer Awareness month and to get involved I’m joining KitchenAid for Cook the Cure. 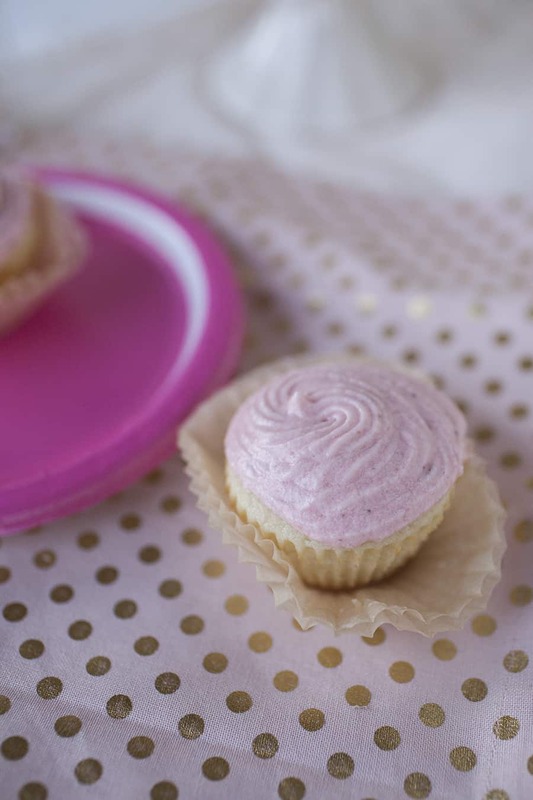 These strawberry buttercream cupcakes are a part of the 10,000 cupcake challenge to raise awareness for all that KitchenAid has done over the last 15 years to raise over $10 million to donate to the Susan G Komen foundation. Whether they fought cancer and beat it or were lost to the fight, we all know someone. In 2016, it’s estimated by the Susan G Komen foundation that there will be 40 thousand breast cancer deaths. There have been many strides made towards a cure, so much money that has been given towards cancer research. But, the fight isn’t over. We can all still help get involved and help raise money to beat cancer. 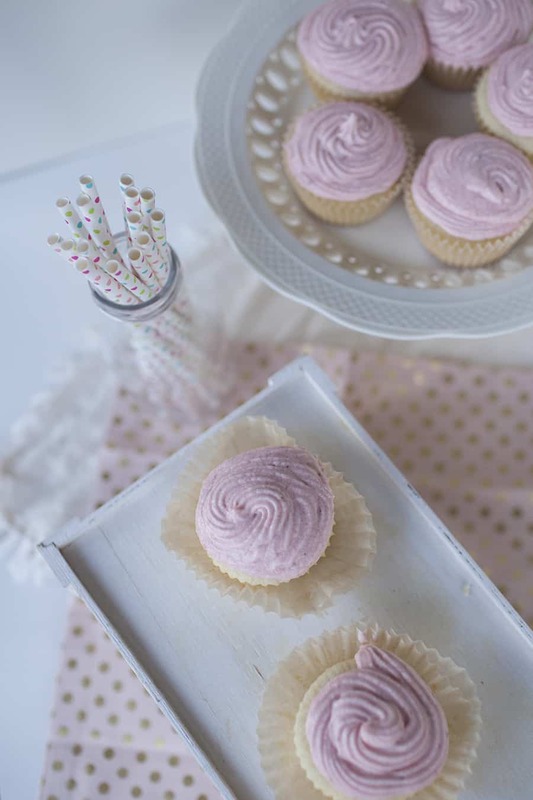 KitchenAid is doing it’s part by hosting the 10,000 cupcake challenge, where they will donate $1 for every cupcake photo or video uploaded with the hashtag #10000cupcakes and #donate. You can also enter to win a KitchenAid Mixer from HHGreg as a part of the 10,000 cupcake campaign. So whether you’ve known someone to fight cancer or not, this is your chance to get involved and help beat cancer for good. 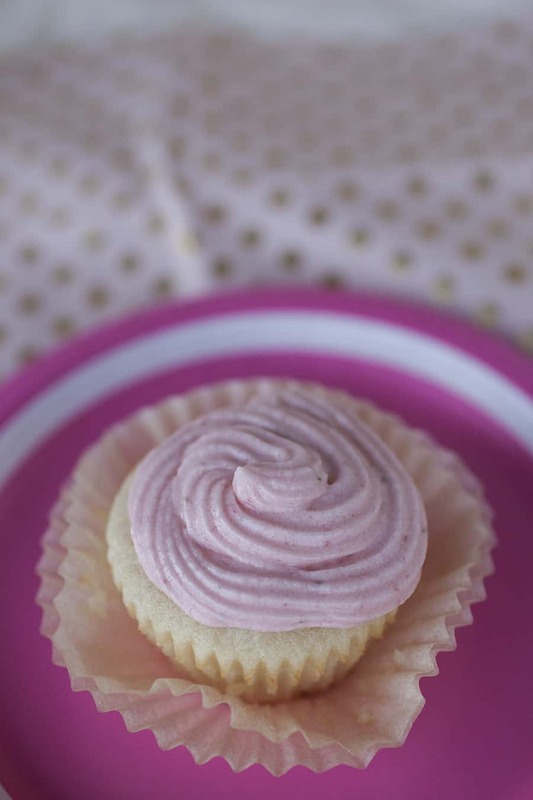 The sweet strawberry buttercream cupcakes are one of my favorite, easy recipes for cupcakes. 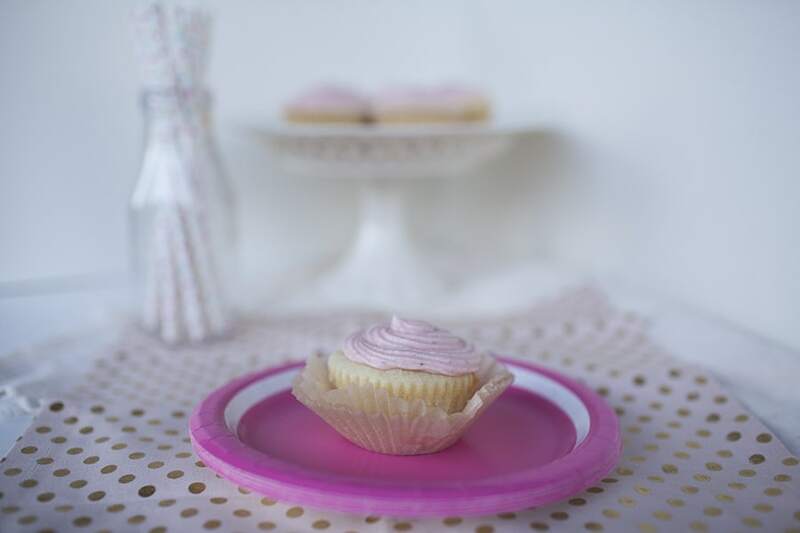 The vanilla base for the cupcakes are just perfectly light and airy. 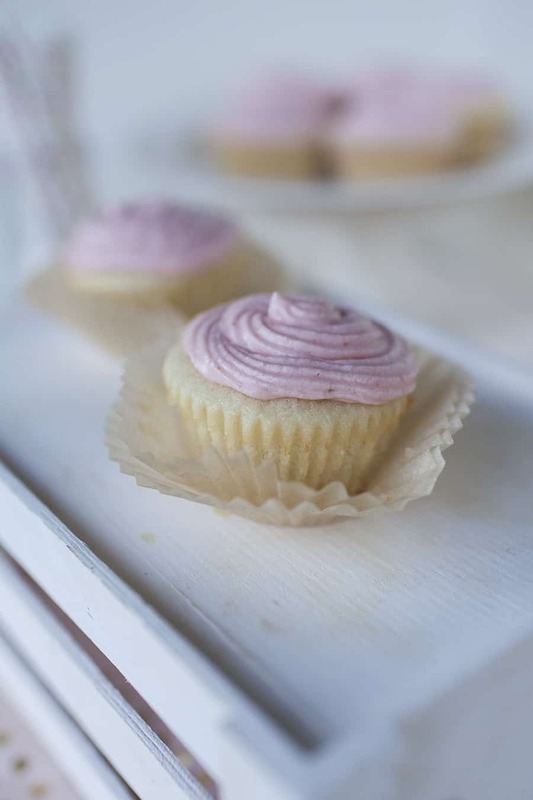 Not too sweet, which means they’re perfectly paired with the sweet strawberry buttercream icing. 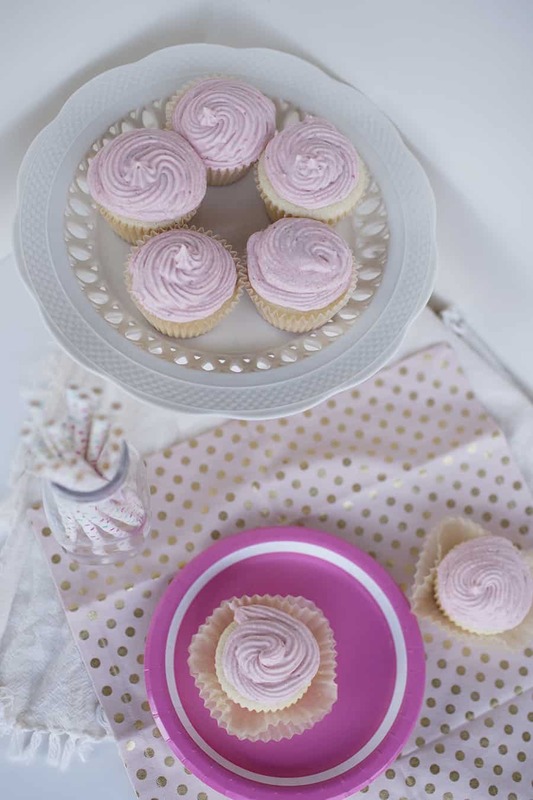 I first made these cupcakes a few winters ago on a snowy day and they were the perfect sweet treat to brighten the day from the dreary weather. Ever since, they’ve been a go to recipe for me whenever I need a cupcake recipe. Ever since I got my Kitchen Aid Stand Mixer, I’ve loved using it to make cupcakes and other desserts. I have a terrible sweet tooth, y’all. Especially with having a little one running (or run-crawling) around, it’s so nice to have a hands free mixer that I can turn on and then chase after Greyson while the ingredients are mixing up. If you don’t have one, here’s your chance to win one. Head to HHGregg to win a KitchenAid Stand Mixer! There are also other KitchenAid products with proceeds benefiting finding the cure for breast cancer through the research done by Susan G Komen Foundation. 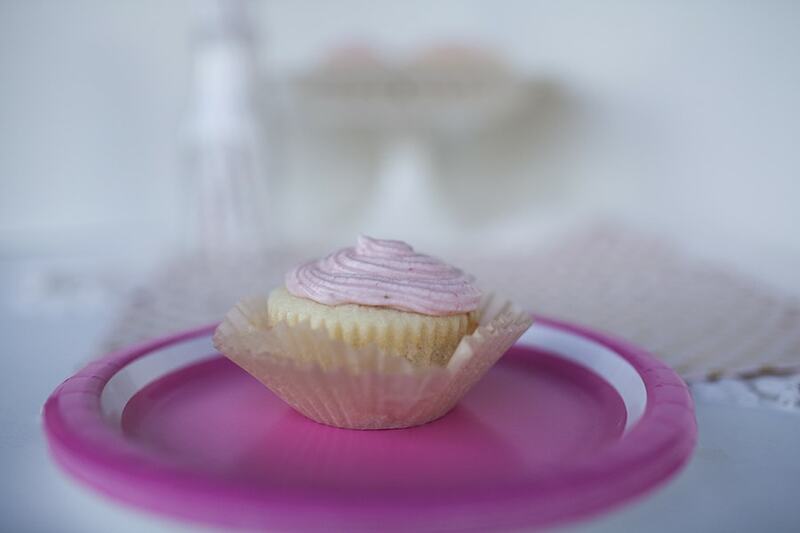 Bake for 18-21 minutes until cupcake centers bounce back to the touch. Meanwhile, make the butter cream icing. Using a food processor, puree three large strawberries. Add butter and vanilla to food processor. If food processor is big enough, add in powdered sugar 1/2 cup at a time. Use bowl and hand mixer, if not. Once icing is beginning to thicken, add in 1 tablespoon of heavy whipping cream. Icing should be smooth but hold it’s shape. Pipe icing onto room-temperature cupcakes. After you’ve made these cupcakes, be sure to tweet a photo or share a photo of them on Instagram with the hashtag #10000cupcakes. Plus don’t forget to enter to win a KitchenAid Stand Mixer from HHGregg! What is one of your favorite ways to help the fight against cancer? This way sure is sweet!